The Portland Trail Blazer’s star PG Damian Lillard is receiving some extra love from adidas in the form of this “Damien Lillard” colorway of the Crazy 8. Set to make its debut in Portland this week, Damien Lillard’s colorway of the Crazy 8 features a black leather and nubuck upper with patterned overlays and red accents around the collar, tongue and heel. Completing the Trail Blazers’ colors are the crazy white midsole and the vibrant red outsole. 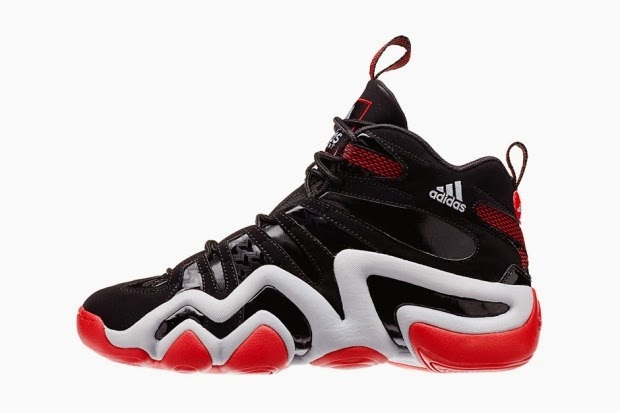 The “Damien Lillard” Crazy 8 will be launching this Friday in Portland at the adidas Village Store before receiving a wider release on February 1 at adidas locations and select stockists.